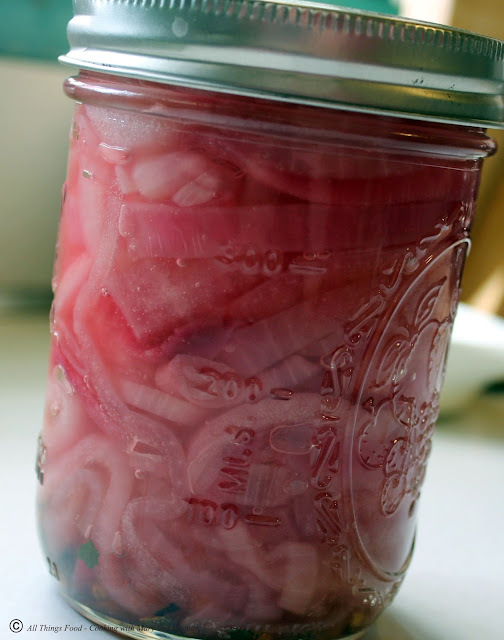 If you've never tried pickled red onions, you really need to. They are perfect for topping on sandwiches, wraps, burgers, tacos, and salads. Slightly sweet and tart, 2 large red onions makes just enough for 2 pint sized jars. Cut onions into 1/4" inch slices. Dissolve the vinegar, sugar and salt in a saucepan and bring to a simmer. Add the onions to the saucepan and simmer on low for 5 minutes covered, stirring often to move onions on the bottom to the top. Sterilize a pair of tongs by dipping the ends in boiling water for a minute. Add 1 tsp pickling spice to each jar. 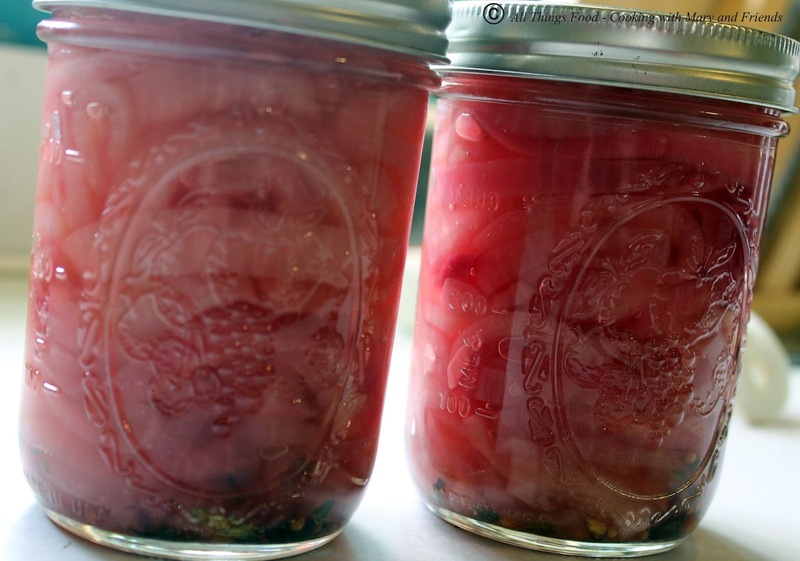 Use the tongs to pack the onions into two 12 oz or 16 oz sterilized canning jars. Using a ladle, fill the space around the onions with the pickling juice, leaving ½ inch of head space. Process for 10 minutes submerged in a boiling water bath. After removing the jars from the water, allow them to sit undisturbed for 24 hours before handling. Store in a cool, dry, dark place for up to 1 year with the rings removed. Once opened, store in the refrigerator for up to a month.